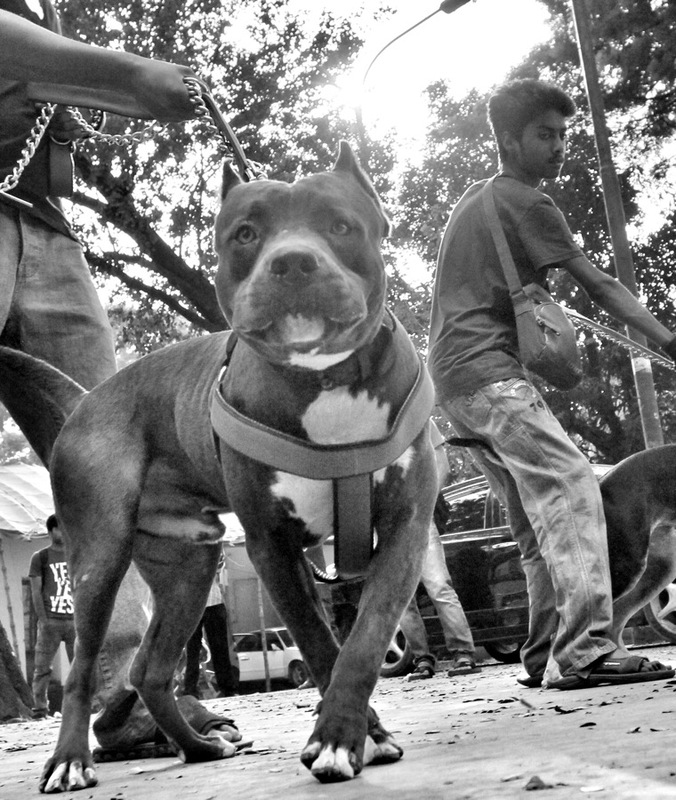 Nov. 25, 2015 – Dhaka, Bangladesh – A pet lover hold his dog it’s an American Pit Bull dog, during the Pet Dog display exhibition at the National Press Club in the Dhaka city. The National Salvation Movement organization organized thes pet dog display exhibation,they said these pet dog exhibition held first time in Bangladesh,at list 45 spices dogs national and international displayed on this exhibition. Number of dog lover and people visit thes exhibation and enjoy it.